If you’re building a new house or doing a remodel on one or more of your rooms, having the right building supplies on hand can save you a lot of headache. Keeping a cache of tools and materials that are frequently needed will keep you from having to drive down to the hardware store and interrupt important tasks that you’ll need to do. The other positive aspect of getting your materials ahead of time is that you can take advantage of sales and scout for the right prices on necessary items. Finding sales is a delicate art, so we’ll give you a short guide to finding the best deals on builders’ supply in Greenville, SC. One way to get inexpensive building materials is to buy when things are on sale and in bulk. This usually requires planning ahead of time. Sales can be predicted as many stores have close-outs at the ends of quarters or on major holidays. Labor Day and Presidents’ Day usually have many price cuts. Pay attention to the times of years when home improvement and building supply stores have their deals and plan to pick up essential items accordingly. Buying building supplies in bulk can be helpful, but may not always be practical. 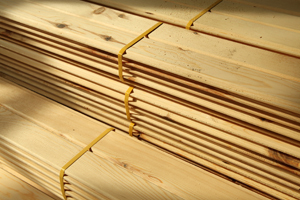 Buying a dozen large planks can present storage-space constraints for the average homeowner. It’s a good idea to stock up on common colors of interior and exterior paints when they’re on sale. You can usually store them for long periods of time without many issues, as they don’t take up a lot of space, and then you won’t need to scramble to find the same color of paint if you need to do touch-ups in the future. Buying before you need things will allow you to get the best deals. Finding the best deals can be achieved by looking through newspapers and finding great retailers on the Internet. You can sometimes find caulk, tools, bolts, screws, insulation, and plywood online and have them shipped to your house. Doing this might be a better deal, but you will need to factor in the cost of shipping and possibly insuring higher-cost items. Finding a store that you trust and has been in the industry for years is a surefire way to get the best deals. We have seen many customers that save as a result of having expert knowledge on hand. If you can be positive that you are being advised correctly and getting quality products, you will save money in the long run.